Most people have some form of performance anxiety such as the fear of doing a job-related task while being watched by a boss or supervisor, public speaking or standing up in front of people for whatever reason. This anxiety can be very detrimental especially if you have a business or profession that needs your marketing skills. More and more these days, small businesses are cropping up and folks need to know how to “put themselves out in public.” It is important to speak to audiences, do Power Point presentations in front of boards of directors, and so on. Then there are also people who are athletes such as skaters, skiers, basketball, football and soccer players, and dog agility trainers. They work hard in order to make it into “the big leagues” so that they can perform for hundreds maybe even thousands, only to find they become frozen with fear or nausea, sick to their stomachs when it actually comes time to perform. Another group of performers are young people who perhaps go to a college for the performing arts and work at restaurants in hopes of landing a job in the theater profession of their choice. Some are talented young musicians, dancers, singers, or ice skaters and other talented people who are held back by their debilitating performance anxiety. We are typically led to believe that being “nervous” is a bad thing. Sometimes this debilitating anxiety takes the form of migraine headaches, anxiety that may cause vomiting or stress so bad that the performer actually gets flu-like symptoms. Doctors of course will prescribe anti-anxiety medication, SSRIs or other drugs which are aimed to reduce the symptoms of the anxiety such as the headaches or nausea. These drugs merely patch up the symptoms of performance anxiety, but certainly don’t eliminate it. Most of the advice we have ever heard has been aimed at reducing our anxiety. 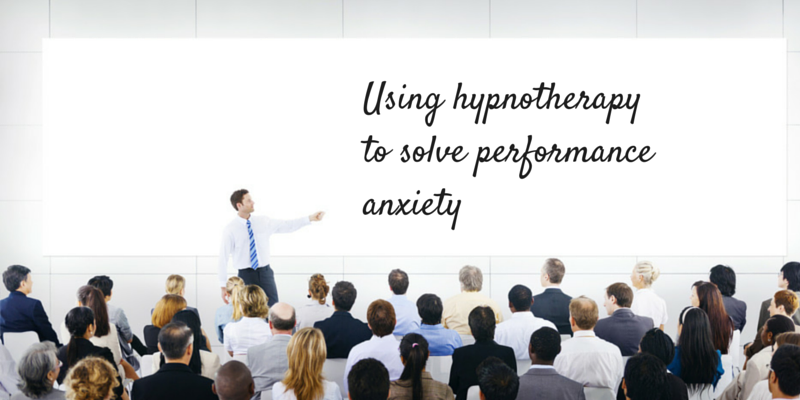 Over the years, people have tried everything possible to get rid of the unpleasant feelings associated with performance anxiety. Some common techniques to reduce performance anxiety revolve around suggestions such as practicing your skill more, searching for the best coach or trainer, taking various supplements, and even taking performance enhancing drugs. None of this, of course, takes the anxiety away or does much to help anyone perform better, legally that is. From many studies and past experience, we learn that anxiety itself is not the problem. The problem is that most of us have never learned how to use adrenaline to our advantage. By telling ourselves and our students to “just relax,” we are actually doing each other a disservice by implicitly confirming that the anxiety we feel is bad, to be feared and must be eliminated. And implanting the false idea that we can “just relax!” In fact, a recent study at Harvard (Scientific American Mind) shows that telling performers to just relax, actually fills their heads with self criticism and increases their anxiety. We can, however, learn to welcome the rush of adrenaline and to use that energy to power up our performances. This provides ways to perform with more freedom, conviction, and confidence than ever before. The big question, of course, is how do we transform anxiety from a liability to an advantage? Find out in part 2.